Eastern Acoustic Works (EAW) has named Nancy Dias to the newly created position of customer experience coordinator. 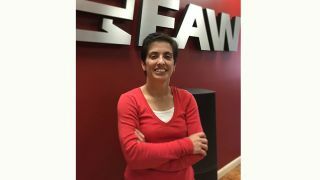 Part of the global sales team, Dias is tasked with overseeing the customer service experience of all EAW customers while also providing visibility of that experience to the in-house EAW team in Whitinsville. The customer experience coordinator reports directly to Waite and will aid and assist the sales, marketing, service, and operations teams to ensure the EAW customer base continues to grow. Dias started working for EAW in 2014 in production and then moved into the service department in 2016. Her firsthand experience with both the product and customers make her well qualified for her new role.